One of the downlights in my house needed to be fixed. The old one was GU10 LR9W WW by E-Star. Unfortunately these bulbs are now no longer manufactured. The replacement one was GU10 6.3W (i.e. it consumes less electricity than the previous ones for the same luminence). Replacing it was a challenge since it would not hold. I then found a metal piece stuck to the old bulb and figured out how to fix it. Here’s the video + photo for my future record (since I have a lot of these bulbs in my house). 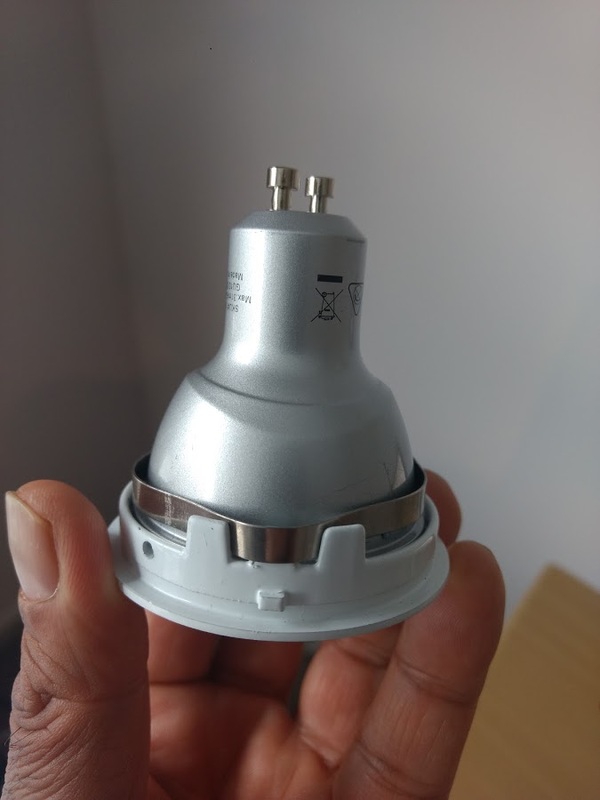 I replaced my first damaged LED bulb today.